A completely restored, vintage home with three exquisitely decorated guest rooms, each with a private bath, phone, cable TV, fax, and Wi-Fi available. A full, hot, gourmet breakfast served in the dining room, in bed, or under the pergola in our garden next to the waterfall and fish pool. AAA 3-Diamond Rating; Mobil 3-Star Rating. Nestled in a country setting, this has been a home and farm since 1920. Five bedrooms and five private baths. Complimentary continental breakfast. This plantation style home built in 1904, offers all the modern conveniences expected in comfortable and pleasant accommodations. The century old front porch is perfect for watching the hustle and bustle of the community. The Inn is also a blues and jazz museum which contains the Dave CC Club Library for researching the blues. Throughout the inn are numerous pieces of art and collectibles that reflect the innkeeper's passion for the blues. Other amenities include 6 coal burning fireplaces, 10-ft. ceilings, and a front porch with rocking chairs to experience small town comings and goings. Cable is available in every room along with complimentary high-speed Wi-Fi access. Located in the historic district, the inn is within walking distance to the quaint and historic downtown and within easy driving distance of other area attractions. This historic home has been transformed into a B&B and an event venue. A step back in time awaits you as antiques and nature blend to offer a relaxing and cozy visit. Offers spacious gathering areas indoors and out with dining and shopping within walking distance of the front door. Plus a screened in porch that can't be beat, all on 2.5 acres of gardens and grounds to explore. Many adventures within a short drive. Stately 1912 William Morris-style home built by local businessman and entrepreneur Marcus W. Doty is a showplace of fine craftsmanship from the imported pressed brick exterior and sweeping verandah with detailed ceiling to the elegant molded plaster ceilings in main rooms, extensive oak wainscoting, moldings and staircase, 8 foot chestnut pocket doors and mahogany inlays. Five beautifully decorated guest rooms with private baths (three with original claw foot tubs), fireplaces, TV and telephone. Guest refrigerator and coffee service upstairs, full breakfast. Smoking outside. Located in the historic district within easy walking distance of shopping, restaurants and attractions. Offers four bedrooms each with a private bath. Guests have the use of the parlor, dining room, and kitchen. Gas grill and Wi-Fi available. Ideal for groups and business travelers. Corporate and extended rates. Continental breakfast. Two corporate apartments also available. This 1855 Greek revival mansion has 5 guest rooms with private baths (two with whirlpool tubs for 2) and many interesting architectural details. 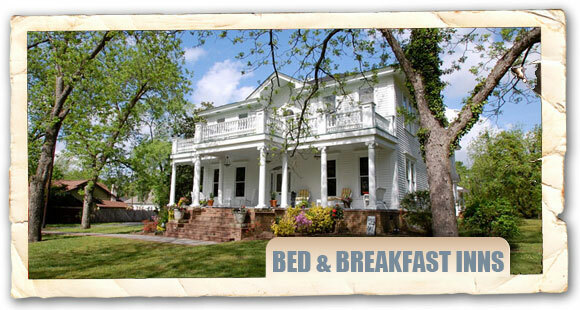 Located on 9 wooded acres, the Inn is only a 5-minute walk to downtown Union. Evening dessert and a full country gourmet breakfast are included in the rates; dinners available most evenings by prior appointment. The Inn was featured in Southern Living 1998 and was chosen by the Atlanta Journal & Constitution in 1999 as one of 10 Great Inns in the Southeast. Miss Fannie's, A Yesteryear Tea Room--where teas for groups of 15 or more can be scheduled at most anytime--is on the premises. Reservations required. A respite in the woods, purposefully designed so that many would take an opportunity to reflect on what God has done and is doing in their lives and, after being renewed in spirit, to return to that which God calls them. Guests from all over the world benefit from both the peaceful environment and welcoming innkeepers. Whether reserving individual rooms or the whole house for retreats, family reunions, wedding parties, or a variety of other special celebrations, guests will find a most comfortable setting. There are five spacious (350-700 sq. ft.) rooms with private baths. See specific rooms for air spa/tub/shower combos and microwave/fridge availability. The innkeepers take special joy in serving a specially-prepared breakfast to be enjoyed in either the main house sunroom or in the privacy of your guest room. Stroll on our wooded trails or take a short drive to nearby picturesque towns and shops. (I-77, Exit 32).